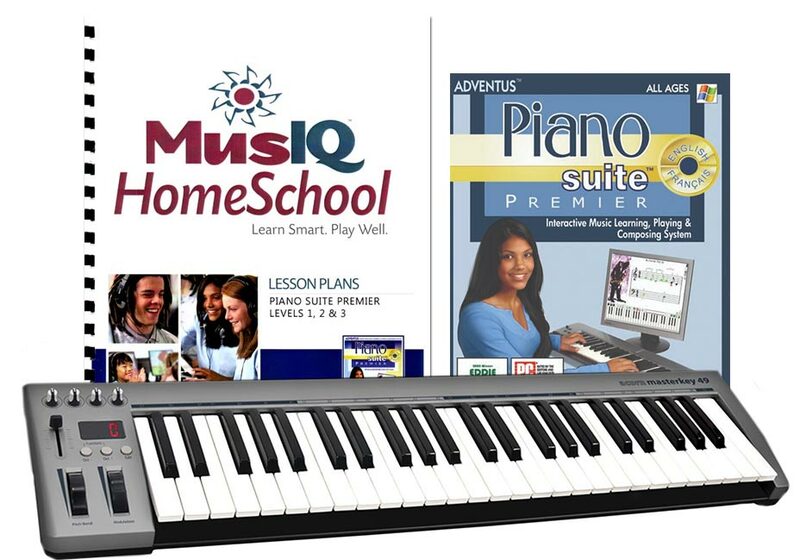 Complete Piano Suite Premier Set as well as the Acorn Masterkey 49 USB MIDI Controller Keyboard. Piano Suite PremierTM software teaches you how to play piano using instant visual & audio feedback. A comprehensive, interactive music learning, playing and composing system, Piano Suite Premier is loved by thousands of piano students and instructors, and is the most sophisticated piano learning program available today. When you're learning to play piano with Piano Suite Premier, you'll know exactly what notes you played wrong, and what you played right! Ages 10-Adult.